We entered the temple to see the gallery, where some of the bas reliefs were restored. We went to the top floor to see climb one of the towers, but it still wasn't opened when we arrived. So instead of waiting, we went down for more sight-seeing. At the middle of the Angkor Wat was a group of monks with an elderly man, which was said to be a fortune teller. He was holding what was said to be as words from Ramayana. I was instructed to put it over my head and put the marker in between the binder. I honestly couldn't understand anything, but Kim Rieng told me that it was a good reading. After the elderly man read the lines, he gave me a bracelet and said a prayer. The reading was for free, but donation is encouraged. I donated a dollar for the reading. Banteay Srei is approximately 40 kms away from Angkor Wat, and it took us around an hour to reach it. The travel time was long enough that we fell asleep inside the tuktuk. The temple is made of red sandstone, and the carvings are very elaborate. The whole complex was quite small compared to the grandiose Angkor Wat that it didn't take a lot of time to see the whole place. Banteay Samre is like a small version of Angkor Wat. The structure and architecture is very similar to the popular temple. It was said to be built earlier than Angkor Wat. Though Kim insisted that we visit more temples, we requested that we should return to the hotel around noon so freshen up and check out. We also wanted to move around the Pub Street area, and honestly, our legs are already cursing us. 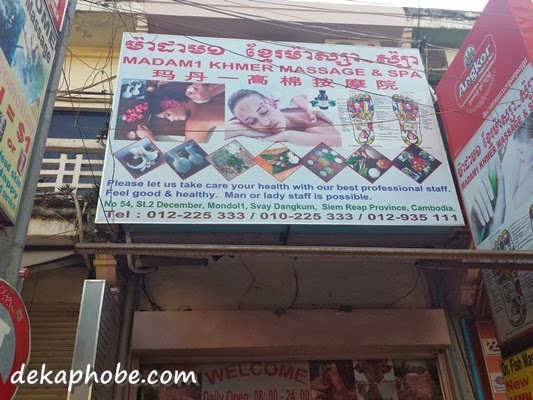 So we went for an hour of shoulder and foot massage at Madam1 Khmer Massage and Spa. It is located at the end of Pub Street. An hour of shoulder and foot massage is 5 USD (Php 225). 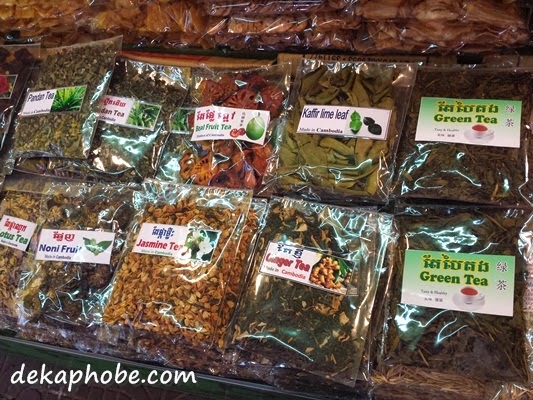 For pasalubong, we went to the Night Market across Pub Street and bought silk scarves and a table cloth. Other souvenir items are also available here. Siem Reap is one of the most memorable places I've ever been to. I appreciate how the Cambodian people try to preserve the ancient temples and the simpilicity of their lives. I honestly want to go back to Cambodia for and stay much longer. Aw, Cambodia! Beautiful. I'd love to visit that country again. Hi Michy! found your link sa Pex. Thanks for sharing your cambodia trip experience! Very informative sa mga newbies na kagaya ko. Excited na rin ako sa lakad namin next month! Yey! i particularly love Angkor Wat. I could stay there forever haha. I won't stop dreaming until I reach this place. Thanks for sharing!